There was no such thing as the “farm-to-table” movement in 1993. But if you wanted to trace the trend back to its roots — at least, its roots here in the Valley — you would only have to start with Rancho Pinot and its proprietor Chrysa Robertson. “I like to say I’m the original local restaurant,” she says. And it’s not an exaggeration. For the last 25 years, Rancho Pinot has been serving simple, yet elegant food made with as many locally-sourced ingredients as Robertson can get her hands on. 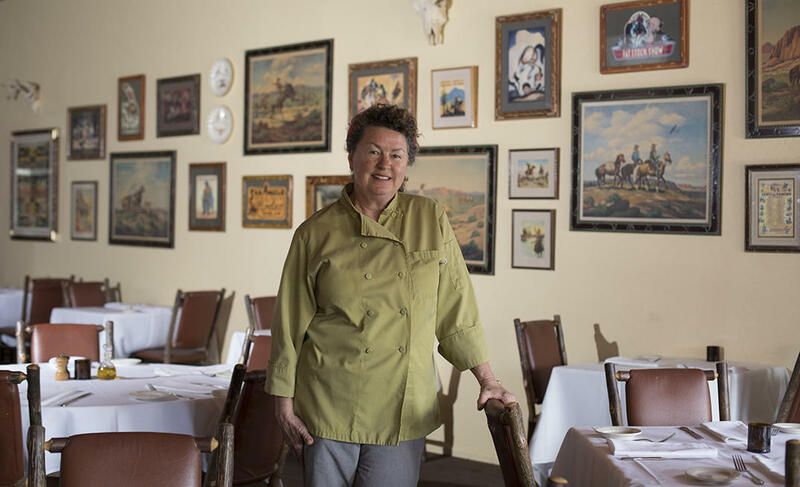 After landing her first job waiting tables at age 16, she got her culinary feet wet working under two of Arizona’s most influential women chefs, Carol Steele and RoxSand Scocos. She left for California and cites her time spent cooking at Mark Peel and Nancy Silverton’s widely influential restaurant Campanile as her biggest source of inspiration even today. “California is kind of the dream come true for chefs,” Robertson says, although that didn’t stop her from returning to Arizona to open her own restaurant in the early ’90s. At the time, Robertson says there were only a small number of local farmers growing produce for restaurants. 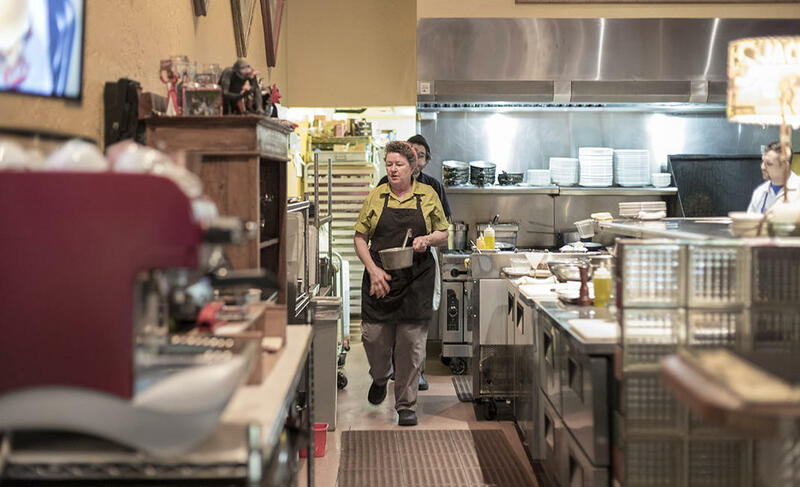 But being a few decades ahead of the trend didn’t stop the notoriously hard-nosed chef from sticking to her vision for a restaurant that blended her family’s rustic Italian fare with her passion for using honest ingredients to craft delicious cuisine. She even founded the Phoenix chapter of the Slow Food Convivium as a part of her crusade to bring local food and farmers to the masses. The result of her work is a menu that’s uniquely Arizonan, but undeniably influenced by her Italian heritage. Perhaps the best way to understand it then is to taste it for yourself. On the menu at Rancho Pinot, you’ll find fresh pastas made with eggs from one of Robertson’s 36 chickens next to stuffed locally-grown squash blossoms and lemon verbena panna cotta scented with herbs from the chef’s home garden. One of the most raved-about dishes is Nonni’s Sunday Chicken, a simple, but rustic dish of braised thighs, mushrooms, white wine and herbs that excellently embodies what Robertson does best. 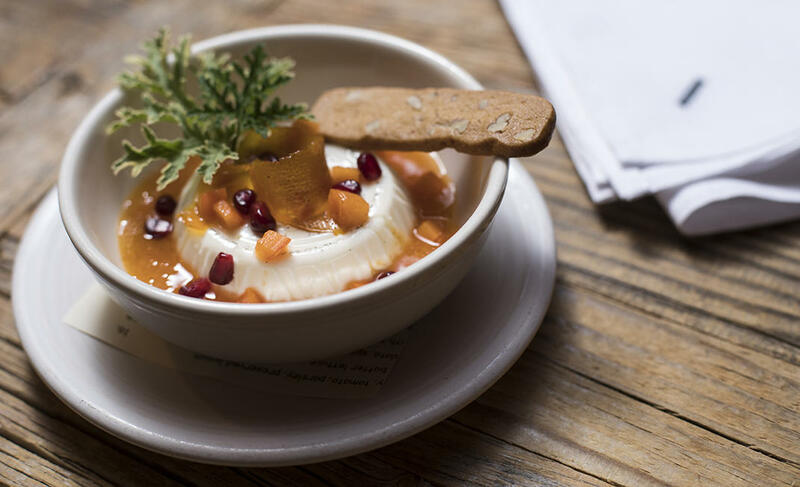 Yet, as dedicated as she is to finding the best ingredients and letting them shine, Robertson knows it’s not just the food that has brought diners to her restaurant for almost 25 years. “I definitely don’t think people just come for the food," she says, which is why Rancho Pinot also offers a dining room that’s as charming and quirky as its chef. In a few words, she describes the space as “warm, comfy, funky and vintage,” tagging on the phrase “Western art” for additional precision. But even if the decor doesn’t quite fit into a single category, Robertson says she can put her finger on one source of the restaurant’s lasting power: consistency.